This biennial, also known as wild celery was an essential food source for centuries in places like Greenland, Finland ,Sweden and Norway. 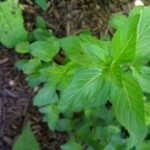 It is simple to grow and loves moist soil with afternoon shade. It’s happiest east facing. It produces big leaves the first year and an umbrella flower stalk that goes to seed the second year (as pictured). It can grow up to 6 feet tall. It is part of the carrot family, a group with many species both medicinal and extremely poisonous. It’s absolutely important you identify this family accurately. The whole plant is medicinal. European legend says that revelation about this plant was given by an angel to help heal the plague in the 17th and 18th centuries, hence the archangel name. The root needs to be dried before use as it has been known to be toxic when used fresh. It is an emmenogogue, an old word used to describe stimulation of the uterus. 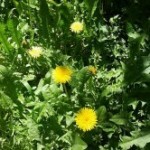 The root is an excellent herb to help expel any retained placenta after a woman gives birth. This is also good reason not to use it during pregnancy. 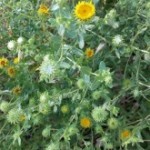 The dried root and seed are good for asthma and bronchitis. 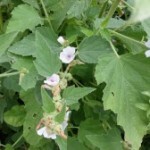 The seeds are used in tincture form for serious dysentery and cholera, making it a great tincture to have in the first aid kit. 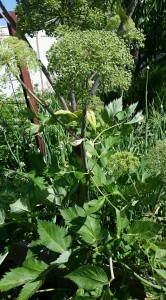 Angelica can be used for digestive problems from colic to stimulating an appetite. Interestingly, it has a bactericidal effect on the stomach, increasing acid and combating harmful bacteria like H.pylori. 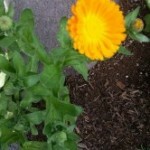 Angelica and calendula is a great combination for stomach bacteria issues. The GCE, the German equivalent to the FDA considers and approves the use of Angelica for high fevers, common cold symptoms, UTI and dyspepsia. 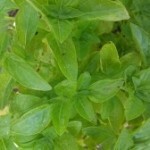 This is a wonderful herb to grow in your own backyard.